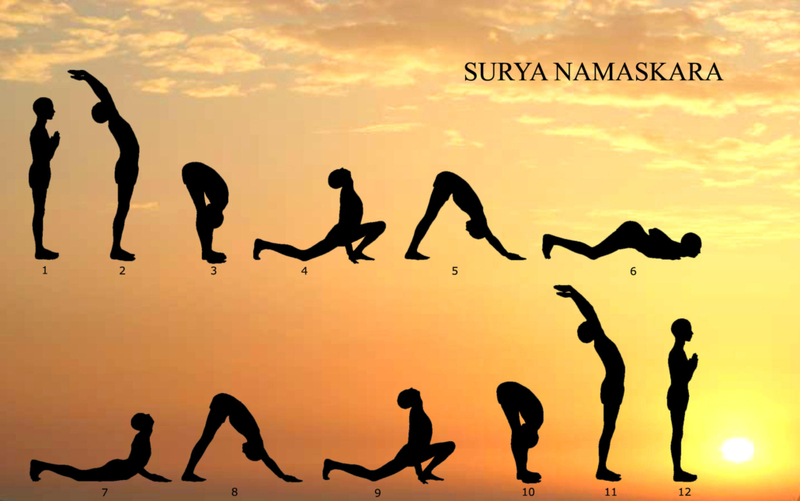 Surya Namaskar (Sun Salutation in English) literally means bowing down to the sun. Sun is considered to be omnipotent and the source of the beings. It is present in everything that we consume or utilize. In order to live a healthy life, one must know how to absorb its power. Doing so will enable a person’s body to develop its physical cycles in a manner that they are in sync with the cycles of the sun. 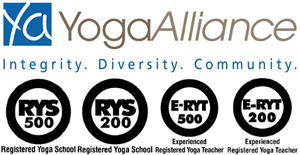 Yoga teacher training in India helps in perfecting this 12-step yoga and attain all the benefits of it. Find a peaceful atmosphere and lay the yoga mat. Stand near the edge of the mat with feet together, making sure that the body weight on both the feet is equal. 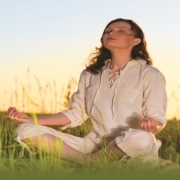 Let your body relax a little by deep breathing and letting your shoulders loose. While breathing in, lift your hands and bring them in front of your chest, the palms should be together in the prayer posture, thumbs forming an angle of 90 degrees with the fingers. While doing this, one should essentially concentrate on standing straight. This posture enables the activation of anahata chakra. This asana is also called the “Raised Arms Pose”. From your last position, lift your arms in the prayer pose over your head in a manner that the biceps are close to the ears. Stretch the entire body up from the heels and lean backwards, arms still over the head, making an arch. Make sure that you are stretching your fingers as well and bending backwards. This asana stretches the abdomen and energizes the upper parts of the body. This asana follows Hastauttanasana. It improves digestion, exercises the abdominal organs, especially livers and kidneys and the glands. While breathing out, keeping the back straight, bend from your waist with hands over the head. While bending, the hands should touch the floor and face should be near the knees. The legs should be straight ideally, but one may bend the knees a little in order to touch the floor. This asana stretches the calf and thigh muscles. 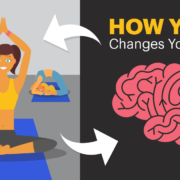 It also increases the blood flow in the brain. After the 3rd step, while inhaling deeply, push the right leg as far as possible in a manner that the knee is bent and touches the ground and the heel is supporting the weight on the right leg. The left knee should be bent and kept between the hands and the palms should face the ground. The chest should be lifted and back straight with face facing the sky. 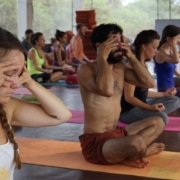 Yoga teacher training in Varkala from Mahi Yoga emphasizes that you should concentrate in the center of the eyebrows. Once done with Ashwa Sachalanasana, put your left leg next to the right without moving your hands, while exhaling. Simultaneously, raise your body and lower you head in a manner that it forms a mountain-like shape or a triangle. Try keeping the heels as flat as possible. The focus during this asana should be on the neck. 300 hour YTTC mentions this asana to be beneficial for the calves and Achilles’ tendons, it also strengthens the arms and legs. 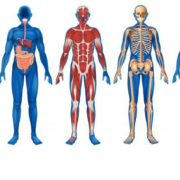 Maintaining the posture for a while can also be beneficial for people with varicose veins. Salutation with eight limbs or Ashtanga Namaskara strengthens the arms and chest by pumping additional blood. While exhaling after Parvatasana, gradually lower your body in a way that the chest and chin are close to the floor. Raise your hips a bit. The hands, feet, knees, chest and chin should face the floor and touch it if possible (eight parts of the body). Slip a little forward and raise your face while gradually raising the chest simultaneously. While inhaling, make an effort to push the torso forward while lowering your hip until your spine is making an arch and the head is facing the sky. The toes should be pointed and stretch as much as you can. The knees as well as the lower abdomen should not touch the floor. This asana helps expand the chest and abdomen, beneficial for patients of asthma, indigestion, kidney and liver issues. It also relieves tension. Get back to Parvatasana while exhaling. Inhale and bring the left leg between the hands instead of the right. Exhale and bring the right foot next to the left without moving the hands, lift the body and get back to Hasta Padasana. While inhaling, lift your arms while raising your body leaning backwards to get back to hastauttanasana. Straighten your body and lower your hands back to the prayer posture. Various other benefits of Surya Namaskar can be discovered from 200 Hour Yoga teacher training certification programs and Yoga teacher training in Rishikesh.